In the dead of the night, a demoness, Maayandri visits the very spot where Kirmada's body had burst into ashes. Using powerful magic she recaptures Kirmada's essence from the dust and recalls his soul from the spiritual plane. But Kirmada is unable to regain his form as Krishna's power prevents his complete resurrection. The angered, Kirmada's sister vows to resurrect her brother even if it means capturing Krishna himself and forcing him to perform the act. Meanwhile Bheem and his friends are visiting Krishna in Dwaraka. After some memorable days they prepare to take their leave. At the time of parting, Krishna gives each of the kids something as a memoir of their time in Dwaraka. 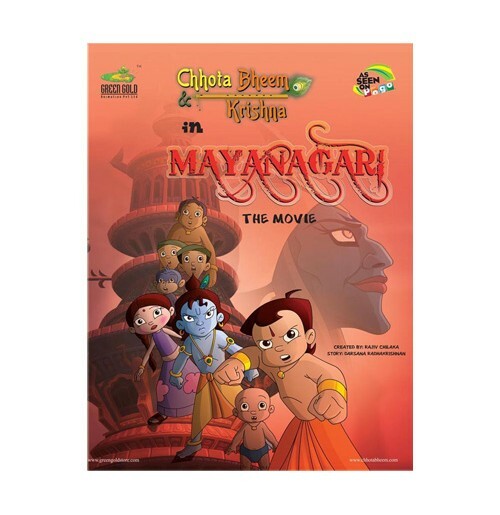 Finally Maayandri captures Krishna through his friends. She combines the power from Krishna with her own dark magic and helps Kirmada reform. 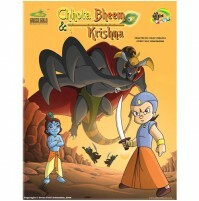 When Bheem and Krishna manage to break out they find that they have to contend with not one but two powerful demons; also Krishna needs to reclaim his powers before it is totally lost. Do the two heroes manage to rescue their friends and defeat the demons?